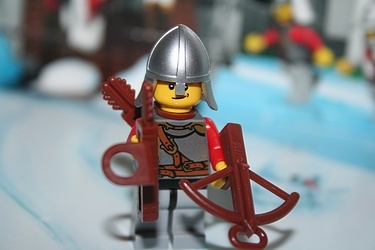 The last several days have given us a catapult, a crossbow soldier, and a cool looking Lego tree with molded Lego owl atop! We are in the home stretch - for sure. It remains to be seen what the finale of this set is - in years past I've had the more 'traditional' Advent set which had a tree or a Santa so we'll see how they do it in the Kingdoms. I hope everyone has finished their preparations for the Big Day, and that scores of kids and families will be enjoying their time together.